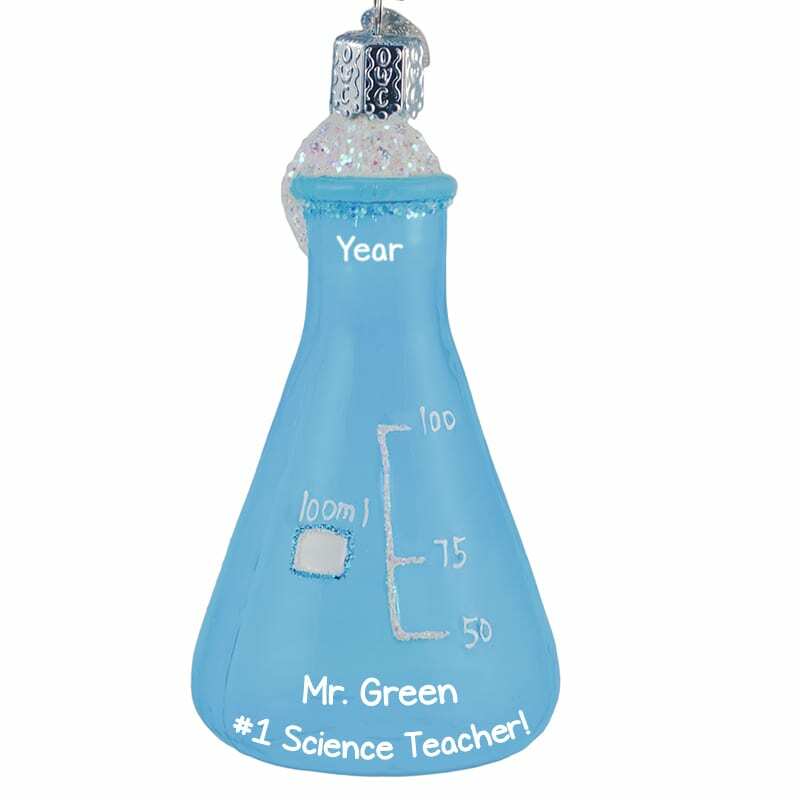 Celebrate your favorite science enthusiast with our Science Teacher Blue Beaker Glittered Glass Ornament. Featuring a glittered blue beaker complete with hand-painted accents, let us add your personalized text for free. This keepsake is the perfect way to commemorate a great year with a teacher or professor. So, buy your ornament today!